Have you ever wanted to turn back time? Sure you have. We all make mistakes after all, wishing at times that the ground would open up and swallow us, embarrassments and all. And during the cautious, nervous years of adolescence, as we’re trying to understand the world and our place in it, these slip-ups seem all the more important. But what if you could go back, rewind time to find a better outcome, or better yet, make sure you never stuck your foot in your mouth to begin with? 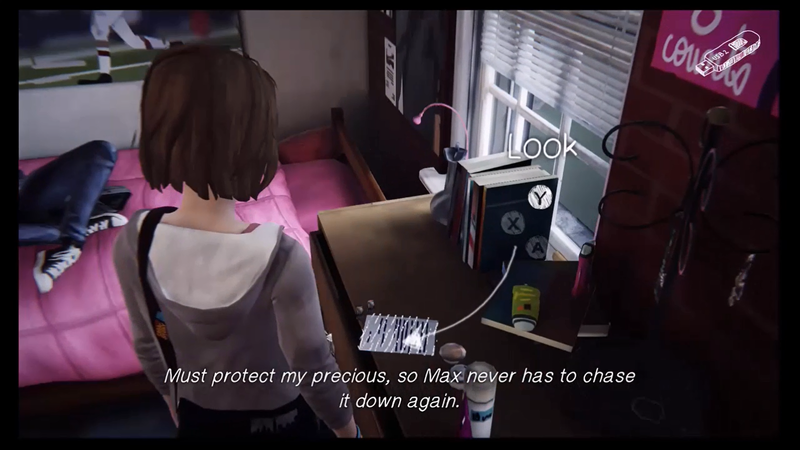 This is the situation that Maxine “Max” Caulfield finds herself in at the start of episode one of Life is Strange, the new title from DONTNOD. The Parisian studio seems to have something of an obsession with our perception of time, first allowing us to mess with people’s memories in 2013’s Remember Me, and following that up by empowering us, through Max, to directly affect their actions by learning from them, and then rewinding to exploit them. Comparisons have been made to Quantic Dream’s output, but in truth Life is Strange is something of an amalgamation of Gone Home and Telltale’s recent output seen through the lens of a lo-fi indie flick. 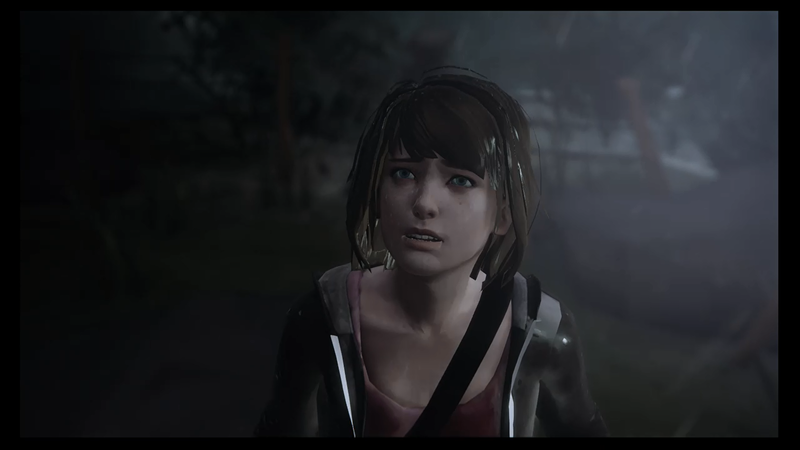 For the most part, we’re on fairly familiar ground in gameplay terms; as Max, you’ll explore her environment, examining everything you see and talking to everyone who will talk to you, all the while moving from one small objective to the next, each a step along the path to a larger goal. You’ll also be making a number of choices as you go, and you’re encouraged to rewind and try again to see what might have happened under different circumstances. 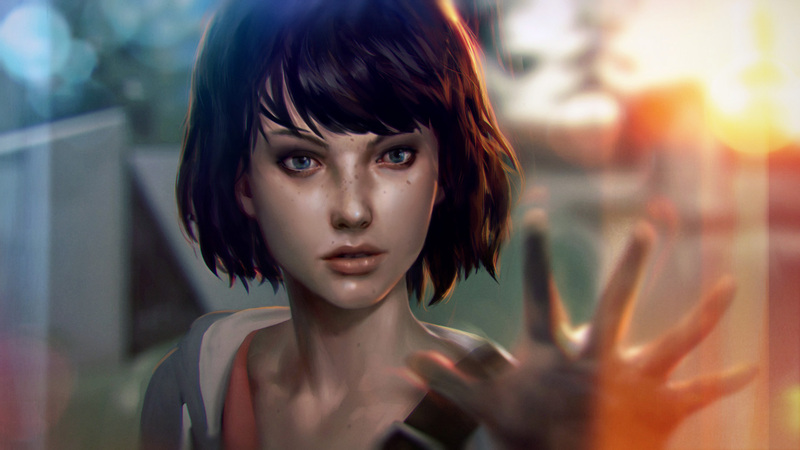 This means that you can easily see the immediate outcome of each choice and then go with the one that seems to be the ‘best’, but while this sounds like it could have an adverse effect on the consequences of your actions, DONTNOD alleviates this concern by forcing you to accept your choices before moving on. These decisions will no doubt come back to haunt you later in the series, as well; already, there are some that seem right at the time, but by the end of the episode have you wondering whether that’s really true. An early decision offers you a choice between capturing photographic evidence of a friend being harassed, or to just step in and stop it right there and then, and one option certainly seems more valid in that moment. But maybe that photograph could come in handy down the line when you’re trying to prove someone’s wrongdoing? The tone is quite far removed from the creeping dread and suffocating tension of the likes of The Walking Dead or Game of Thrones, too. Max’s adventure is possessed of a more gentle, autumnal feel, as she returns to her bucolic pacific-northwest hometown of Arcadia Bay after five years away to begin her studies at the prestigious Blackwell Academy, and this first episode is infused with a lazy, ‘school days’ vibe, the pacing deliberately and appropriately slow as Max explores her surroundings, her new abilities and herself, making observations about fellow students as she goes. That’s not to say Life is Strange is particularly light-hearted. There’s a dark thread of small-town alienation threaded through the entire episode, and while there are moments of tension, a couple of which are tantalisingly front-loaded and tied into Max’s newly-awakened powers, after these passages are over we’re returned to that languid, measured pace as we venture out onto the school grounds to immerse ourselves in Max’s new surroundings. Max is something of a socially-awkward, unsure lead. She’s the quiet nerd in all of us, and as she struggles to find her place in the world, and subsequently understand her new gift, we get to experience it through her interactions and her playfully sardonic internal monologue. It’s a great way to anchor the player in the setting, and while we may not all be as shy as Max, we can surely all relate to being new to some thing or some place. She’s not much more settled in this environment than the player, so it makes sense that her inner thoughts are mostly centred around trying to make sense of her world, a design decision that does as much to inform the player as it does to reinforce Max’s character. Nerd culture references come thick and fast, and can sometimes be a bit overbearing, but they mostly work. The writers clearly know their audience, and it’s in these moments that the game delivers most of its humour. Max also keeps a diary that gets updated as events pass, but go back a few pages and you’ll find there’s plenty to read that leads up to the start of the game, too. You can (and should) take a few minutes to read these earlier entries right from the off, and they serve as a good foundation for Max’s character, expressing her love of photography, her excitement at being accepted into Blackwell as well as her hesitance at starting a new chapter of her life. Some of the writing in Max’s diary can hew a little close to being obviously written by someone outside of their teenage years trying to think like a teenager, but it mostly holds up. In fact, Max is actually a pretty well-written character in general: while she loves her area of study, she’s also a proponent of the ‘why do today what you can put off ’til tomorrow’ school of thought; she hates the rich-kid cliques that enable and encourage bullying, but she’s not above rifling through a fellow student’s belongings or rearranging a photo wall to resemble an upturned middle finger; she’s somewhat unsure of who she really wants to be, but she’s also hesitant to find out. Basically, she’s a teenager, and her flaws and her contradictions make her all the more believable. Then there’s Chloe. Max’s old “BFF” is almost unrecognisable to our heroine when their paths finally cross, and she’s very far from the girl Max remembers. Loud, brash, tattooed and blue of hair, she’s a good foil for our introverted, reserved heroine, quick to act where Max is more deliberate, and it’s immediately obvious that she hasn’t had an easy time since Max left. As Max and Chloe begin to rediscover themselves, their friendship and each other, their interactions are at first awkward and strained, and here we’re afforded another big choice: do we step in and help her out, strengthening the bond between the two young women, or do we stand aside and put our own interests first? It should be interesting to see how their relationship develops over the course of the series, and to what extent our decisions affect it, and it’s obvious by this first episode’s end that Max and Chloe’s friendship will form the core that the rest of the narrative revolves around. Which is quite handy really, as the rest of the cast is filled out by a group of fairly typical high-schoolers; there’s the nerdy guy who’s clearly interested in our lead, the distant, troubled girl, the bitchy rich girl and a whole group of meathead jocks. And of course, every school setting needs at least one unstable psychopath to ratchet up the tension. While they’re clearly drawn from a bunch of archetypes, it’s a little early to label them stereotypes from one episode alone, and already there are a few characters whose arcs should hopefully be interesting to watch unravel as the episodes continue. But at the heart of all that sits the mystery of Max’s new powers and the reveal at the episode’s climax of a looming threat to the small town, though we are of course none-the-wiser about what it will be that causes this unnatural catastrophe – only that Max, through her powers, is the only one that knows it’s coming. If future episodes of Life is Strange can deliver on the promises teased in this opening chapter, it’s sure to provide an interesting mystery story wrapped up in a poignant coming-of-age tale.